Two ongoing research projects led by Professors Claudia Mitchell and Lisa Starr, of our Department of Integrated Studies in Education (DISE), are helping to understand how women in Ethiopia can empower themselves to protect their human rights and to benefit equitably from development in the country. Mitchell and Starr are currently carrying out a study of gender-based violence on the campuses of four Agriculture Technical Vocational Education and Training (ATVET) colleges in Ethiopia. 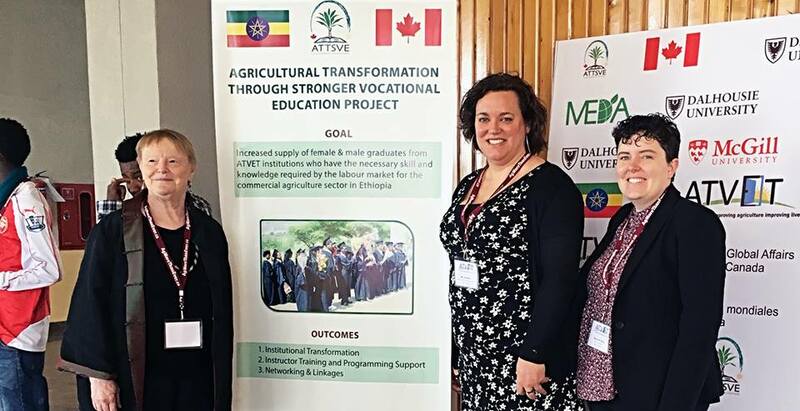 Building on a survey as well as a college-based participatory analysis of the data, the study, funded by Global Affairs Canada, is part of a larger project: ATTSVE (Agricultural Training Through Stronger Vocational Education). In keeping with Canada’s new Feminist International Assistance Policy, which has as its main focus of programming efforts for Global Affairs Canada to promote gender equality, this component of ATTSVE aims to promote gender equity and gender mainstreaming, and to combat gender-based violence within the ATVET system. Their projects have placed two interns in the field in Ethiopia this summer: Hani Sadati, doctoral student in DISE, and Adrianna Lemieux, undergraduate student with McGill's Faculty of Arts. The Agricultural Training Through Stronger Vocational Education (ATTSVE) project (Dalhousie, McGill University, Jimma University and MEDA) is working with staff from colleges in Maichew, Nedjo, Wolaita Soddo, and Woreta. The six-year project aims to help move Ethiopia towards a market-focused agricultural system better poised to support the country economically, while meeting the needs of both male and female farmers and youth, and the agriculture industry. Agriculture forms the base of the East African country’s economy. The most populous landlocked country in the world, Ethiopia’s 88 million inhabitants rely on agriculture for 80% of their total employment and 84% of their exports, while agriculture accounts for only half of their gross domestic product. Soil degradation, overgrazing, deforestation and poor infrastructure are contributing factors (1). 3. To reduce gender inequalities in access to, and control over, the resources and benefits of development. Concurrently, the Setouch le Setouch (women to women) forum is working to understand how Ethiopian and South African women understand and enact leadership in their communities. The goal is to empower leadership capacity among women connected to the ATVET system. Presently, women are vastly under-represented in teaching and management positions at all ATVETs in Ethiopia. Women occupy less than 5% of the senior leadership and teaching positions in any of the ATVETs. Currently, each ATVET is developing a strategic plan that has targets related to supporting female students, women instructors, and mainstreaming gender across the curriculum, but much is left to do. A key area in each ATVET’s gender strategy is to address the engagement, mobilization and retention of female leaders within the colleges. This area includes addressing the structural and cultural barriers to equitable treatment and involvement of women. Through participation in the Setouch le Setouch forum ATVET female instructors, students and administrators will be empowered to reach their full potential and directly contribute to the success of each ATVET through community outreach. The forum is an initiative of the ongoing research project Setouch le Setouch: Investigating Ethiopian and South African Women’s Leadership Beliefs and Actions, of which Lisa Starr is Principal Investigator. Claudia Mitchell is a James McGill Professor in the Department of Integrated Studies in Education, and Director of the McGill Institute for Human Development and Well-Being (IHDW). She has written extensively in the area of girlhood studies and is the co-founder and editor-in-chief for the award-winning Girlhood Studies: An Interdisciplinary Journal. In 2016 Mitchell received the top research honour of the SSHRC, the Gold Medal, and was named a Fellow of the Royal Society of Canada. Lisa Starr is an Assistant Professor and Graduate Program Director at McGill University in the Department of Integrated Studies in Education (DISE) and the Past President of the Canadian Association for the Study of Women and Education (CASWE). Her teaching career led her from Canada to Pakistan, Kuwait, Mongolia and back to Canada. 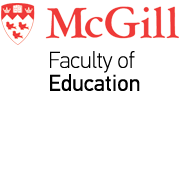 Professor Starr is an Associate Member of the McGill Institute for Human Development and Well-Being (IHDW). Her travels created a passion for the study of the relationship between identity and culture, particularly in relation to leadership and gender equity.